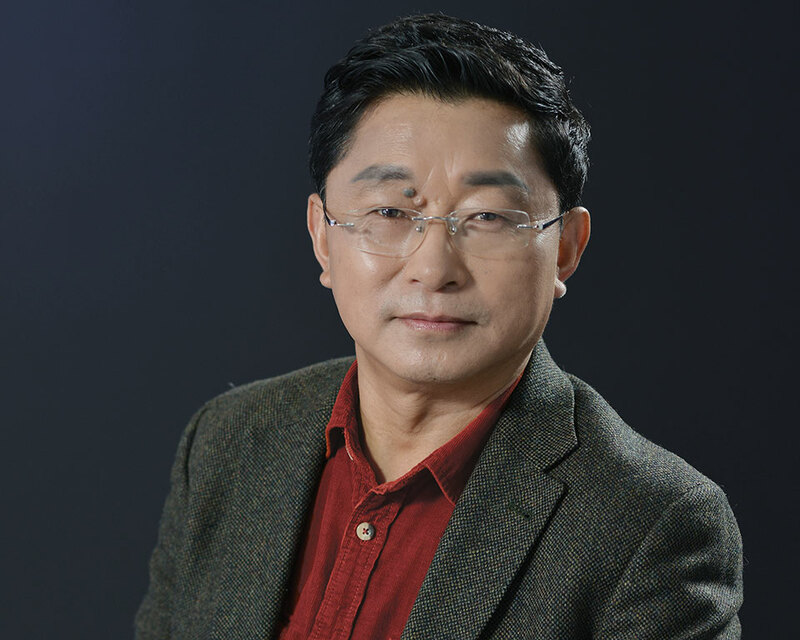 Alai is a prolific and versatile writer in contemporary China, having published poetry, short fiction, novels, and essays for more than thirty years. 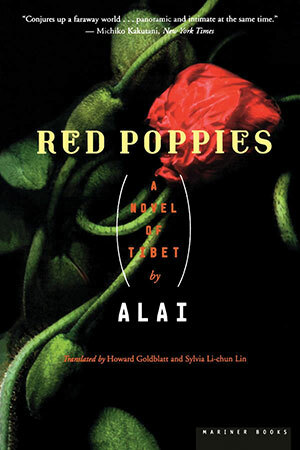 His novels Red Poppies, for which he received the Mao Dun Prize in 2000, and The Song of King Gesar have been translated into English by the distinguished translators Howard Goldblatt and Sylvia Lin. 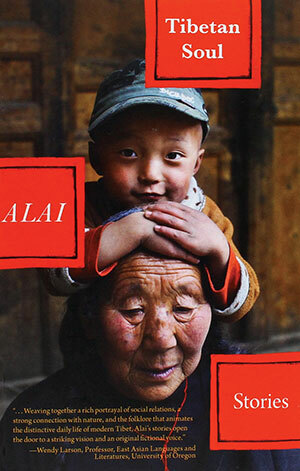 Identifying as a Tibetan writer who writes in Chinese, Alai’s work rests firmly within the Tibetan cultural sphere and yet—through its expressive language—both expands and reaches beyond Chinese by engaging themes salient to the human condition in the contemporary world. This interview took place during Alai’s visit to UC Davis for a lecture on Chinese ethnic minority literature and a panel discussion on indigenous poetics with Native American scholars in 2016. D Dayton: You have an essay entitled “Not Deconstruction and Not Abandonment, but New Possibilities.” Can you talk about what these “new possibilities” might be? Alai: I wrote this essay after reading the work of the Trinidadian Nobel laureate, V. S. Naipaul. Naipaul seems to be giving voice to the type of experience that many writers have had today because of the processes of cultural globalization, which has meant leaving behind their native places and, at the same time, leaving behind their native languages. They are writers who are writing literature in a new country and in a new language. If one takes a traditional perspective, these writers have betrayed their native places, or they are practicing the deconstruction of their identity. Once one has been deconstructed then there is, supposedly, no meaning left. Dayton: Which is to say that their identity has been scattered. Alai: Yes, deconstruction is like dismemberment. Yet in reality these writers are creating new forms of expression and new possibilities—it’s actually the growth of a new form of literature. In the future, there will definitely be fewer and fewer writers who write in/about their native place and write in their native language. Those writing in new places and languages will certainly continue to grow in number. This is the process of cultural globalization that already exists in the world. The first reason is, of course, because of communication and exchange and the fact that people never stop moving. The second reason is that the most expressive languages are becoming ever more expressive. Their capacity to incorporate and tolerate difference is steadily strengthening. On the other hand, weaker languages become progressively weak because of their limited ability and opportunity to converse with outside languages. They are not often translated into foreign languages, and there are not that many people who can translate foreign materials into these languages. Translation, in this sense, is also a kind of creation. In today’s world, the transformations that have occurred in many languages have been accomplished through translation. Translation, in this sense, is also a kind of creation. 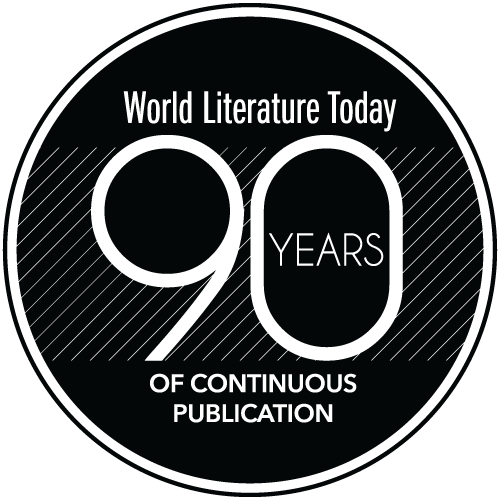 In today’s world, the transformations that have occurred in many languages have been accomplished through translation, a process of translation, which is a dramatic shift away from the past when languages slowly developed through their speakers’ own experiences, steadily developing new words and phrases—a very slow process. Now, most languages develop through a process of borrowing between languages, by borrowing an idea and then finding new ways to express it in the language. But languages that are increasingly small have lost the ability to do this. If a writer is forever confined to a language like this, then—though one must of course keep the benefits of language diversity as well as the perspectives provided by native languages in mind—one will suddenly realize that the expression of a writer using a smaller language, once he has been locked within the constraints of this language, will inevitably become limited. We do, of course, need to do our best to pay attention to this kind of beautiful simplicity, but the languages clearly lack a richness of expression. We have seen its marked separation from modernity, the separation from modern life and modern society. Of course, this was the experience I had when I was working hard to write natively in Chinese, but I believe that this experience could also be applied to the world. Dayton: Certainly. So, I’d like to ask a related question because you have another essay entitled “The Language of the Land,” which addresses the issue of translation that you just spoke about. 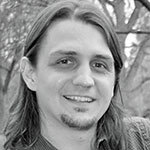 In the essay, you discuss how languages such as Chinese, and the larger sinophone diaspora, have a growing capacity to incorporate new forms of expression because writers like yourself can incorporate the forms of expression from your native language into the Chinese language, in a sense translating those “new possibilities” into Chinese. I wonder if you could discuss in more detail what you see emerging from this process? For example, in your novel Red Poppies, the narrator, the Idiot, says, “Rules are rules. I cannot change them.” And in the end he follows the “rules” demanded by revenge-killing and dies at the hands of the Maichi chieftain’s enemies. Though in a way it is the natural conclusion of the character’s progression in the novel—it’s the end of the Maichi’s chieftainship and the end of his life—what in this conclusion is a kind of creation or “renaming”? What aspects have been “renewed” in the second language? Alai: The renewal is mainly in what one reads on the page: the rhetorical innovation. It’s in the way of expression and word choice, because in Chinese that wouldn’t necessarily be the way it’s expressed. It’s not present in every ethnic minority writer’s work, however. If she doesn’t have this awareness, then her writing can be said to have conformed to Chinese—this form of expression lacks the unique qualities of her own native culture. An ethnic minority writer who writes in this way, besides myself, is Zhang Chengzhi. Zhang Chengzhi’s work contains a great number of “innovations,” but I don’t agree with the political stance he takes on the language. His work now contains a great number of expressions from Islam. He often uses the word juyi 举意 (niyyah نیّة meaning “intention”), for instance, in which an original meaning is preserved in a new Chinese term, one derived from theology. He insists on using this Islamic word, juyi, to express his ideas. It means to “raise something up.” All of his innovations are from this form of expression and, furthermore, are connected to his desire to present the customs and environment of northwestern and far western China. A number of years ago, there was an essay on my work—I think one of the best—written by Li Jingze. His criticism of Red Poppies and his understanding of its language is much deeper than that of most people. His evaluation of this style of book was that it had “renamed all of existence,” which was the title of the essay. He was able to see the real work of Red Poppies because he was aware of this “renaming” aspect of the language. In addition, he said in his essay that the book brought the great diversity of cultural practices and lifestyles that had previously only been expressed in Rgyalrong Tibetan to now be expressed in Chinese as well. And now everyone accepts these differences. Moreover, in the moment of accepting these different cultures and ways of life, the barriers to understanding can be broken down. This is the kind of social good that language can produce: promoting the understanding of difference. Therefore, one can see that, in addition to the expansion of a language’s rhetorical techniques, the content of the language is also expanded through this work. In the past, the Chinese language was limited to its own expressions and ideas. Yet, after these diverse concepts entered the language, its emotional and aesthetic import changed. It is a different language from the language used in Tang poetry [诗 shi] and Song verse [词 ci], but it is a language of expanded expressiveness. This is the kind of social good that language can produce: promoting the understanding of difference. Alai: Yes, because it is rooted in the Buddhist concept of destiny. Dayton: I see this in the way that this phrase not only expands one’s lexicon, an expansion in linguistic terms, but also one’s way of thinking and perception of the world. Alai: A new way of perceiving the world. Dayton: Good point. I have one more question I’d like to ask. You have said in interviews and in your essays that you write creative work in Chinese through the route of translation. What is your perspective on your work being further translated into other languages? Do you see your work as engaging in a dialogue with translation theory and translation methodology? Alai: No, I don’t see it engaging in this kind of dialogue because I think that translation has its own sphere of authority and specialization. Of course, there are different methods of translation, but attempting to intervene in these methods wouldn’t be a very productive endeavor. Now, if I knew another language besides Chinese and Rgyalrong Tibetan, then I might be able to engage this field. I don’t have this ability, so I can’t enter the theoretical discussion of translation, and there really isn’t any other way to engage it. On a certain level I think that my writing is often actually a form of translation. But I believe in translation because on a certain level I think that my writing is often actually a form of translation. For example, there are many times when I unconsciously use one language to think and another language to write it down—it’s a process that is particularly related to the fact that when a person speaks, he is using one type of language and using another when writing. When I encounter a particular kind of setting, I sometimes suddenly feel that using a phrase in Rgyalrong Tibetan provides the most fluency, or I might feel that in Chinese a phrase has become cliché, so I would later think about what we would say in Rgyalrong Tibetan. Once having it in my mind in Rgyalrong Tibetan, I might think it’s a great way to express the idea. The process of translation of course requires one to be attentive to the rules of Chinese, but what comes out of the process truly has a distinct effect. So, in one way, I really am translating. My second point is that I believe in the process of translation. Making the untranslatability of multilayered meanings found in the discussions of poetry the focus of translation, as some scholars have, seems excessive to me. First, I think translation is inevitable. It will inevitably happen in our world. Second, though there are some languages whose history of translation is not very long, the Chinese language has had a comparatively long history that started with the translations of Buddhist scripture. And there have been a great number of texts translated into Chinese. Furthermore, because the history is over a thousand years long, there have also been a variety texts written on the topic of translation. In each period of Chinese history, there were scholars who wrote on translation, which has culminated in a collection of texts that articulate Chinese theories of translation. Therefore, I think it’s very strange that when Chinese people are discussing translation theory—I’m putting aside any discussion of Western theories of translation here—no one has ever focused their attention on the history of the Chinese language, its history of translation. One quickly realizes when reading about the various issues of translation discussed in this field, such as Yan Fu’s theory of “faithfulness, expressiveness, taste” or paraphrase versus literal translation, that all these issues were discussed when classical scholars were translating the Buddhist scriptures—all these ideas are in the classical texts. The conclusions presented in these texts were substantial enough that Tang Xuanzang was able to complete a treatise on translation, The Five Principles. Yet scholars today still ask the question, “Does one have to translate every word?” As it states in the The Five Principles, I think that when one can’t find an appropriate translation for a word, one should not translate it. There are many circumstances where this occurs, and it can be confusing, but after it has been used in a language for a long period of time it becomes a part of the language—it becomes a loanword. At that point, it’s no longer translated. Some of these words, for instance, demonstrate a principle and, of course, cannot be translated. Transliterations of the words are instead used. For example, in Buddhist scripture the concept of “enlightenment” is never translated and is instead given in its original form: bodhi (菩提 puti). With time one comes to understand the meaning of the word in its context and the meaning of the original Sanskrit word is still there. Even the word Buddha (菩萨 Pusa) is not translated. If one did translate these words into Chinese, one might be able to translate one level of its meaning, but another level of meaning would be lost. At the time it was primarily a principle, but with the passage of time the contextual pieces before and after the loanwords allowed the meaning to gradually be revealed. In their translation work, the classical scholars encountered all these issues—in a religious context translation is obviously even more abstract and even more profound. In comparison, what could be so difficult about the material that is being translated today, as so much of the material comes from our everyday lives—it doesn’t present nearly as much of a challenge as the past. Of Tang Xuanzang’s Five Principles, I remember this one the best: some words should never be translated. Dayton: This point is also touched on in Red Poppies. In the second chapter of the book, the narrator, the Idiot, introduces the domain of his family, the Maichi, to the readers. In this introduction he specifically refers to the Maichi’s “bone” and “root” as important concepts for understanding this place and its people, and in this first instance they are not translated. Are these two words from your dialect of Tibetan (the Rgyalrong Tibetan language)? And could you describe why these two words are linked as it states in the novel? Alai: Yes, they are words from my dialect. 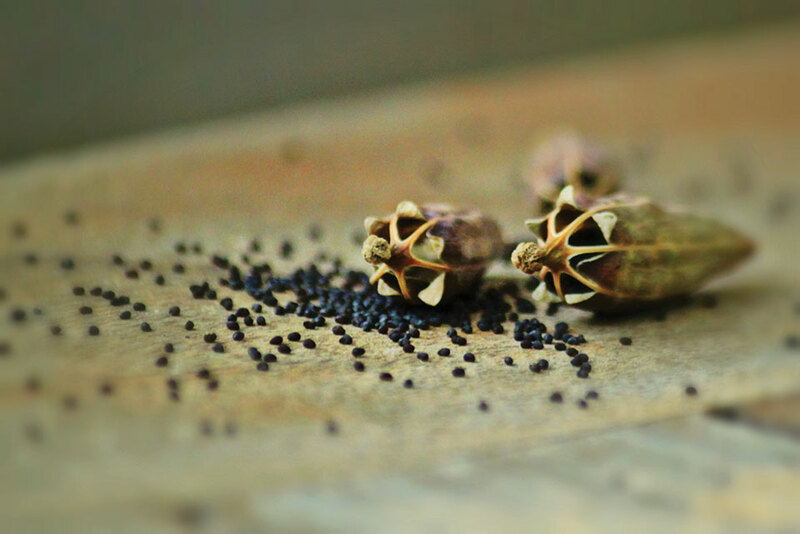 “Bone” refers to one’s blood, or heritage in Rgyalrong Tibetan culture, whereas “root” refers to the seed that is the symbolic source of one’s life. For the readers, these are a similar kind of loanword that cannot be translated but can be slowly understood through the process of the novel. Dayton: I agree. I believe that this is a feature of writers, like yourself, who utilize language to express their roots in a locality and is, of course, further related to the native language. I think comparing the writing of these locally centered or indigenous writers is very meaningful and reveals the potency of this form of writing. Alai: As you said, a person who speaks the local language, the native language, has a great benefit, which is the comparison of languages. When placing two languages side by side, the positive and negative aspects, the ways one language excels and the ways that it falters, are all revealed. If you speak the native language of a place, you have another way of experiencing the world, but this experience is of course more traditional and limited in its scope. I think, however, that these kinds of limitations are not important and should not be the focus of expression. We should instead focus on expressing our feelings and perceptions granted by our native languages and finding ways to share them with the world. D Dayton is a translator and scholar of modern Chinese literature and the comparative indigenous poetics of East Asia and North America. He was a recipient of a Henry Luce Foundation Chinese Poetry and Translation Fellowship in 2016, and his translations have appeared in anthologies such as The Columbia Sourcebook for Literary Taiwan and on Poetry International Web.